A second of Stanislaus National Forest along CA-120. The forest is located primarily in eastern Tuolumne County, adjacent to the northwestern part of Yosemite National Park, but parts of it extend (in descending order of forestland area) into southern Alpine, northern Mariposa, and eastern Calaveras counties. Forest headquarters are located in Sonora, California. There are local ranger district offices in Groveland, Hathaway Pines, Mi-Wuk Village, and Pinecrest. The Emigrant Wilderness is located entirely within its boundaries. Portions of the Carson-Iceberg Wilderness, including the Dardanelles Cone, and the Mokelumne Wilderness are also within the Stanislaus National Forest. The proximity of the Stanislaus National Forest to the San Francisco Bay area makes it a popular recreation destination. The volcanic and granite formations in the wilderness exist alongside heavy cattle grazing, a shock to many backpackers. Whitewater rafting and kayaking can be found in the wild and scenic Tuolumne River and Cherry Creek. Other rivers flowing out of the Stanislaus include the Clavey River the Stanislaus River, and the Merced River along the southern boundary. Two ski resorts, Dodge Ridge and Bear Valley, operate here under a special use permit. The Rim Fire was ignited on the Stanislaus National Forest in August 2013, and eventually grew to become the third-largest fire in California history. The fire was named after the Rim of the World Vista on California State Route 120, where the fire was initially reported. 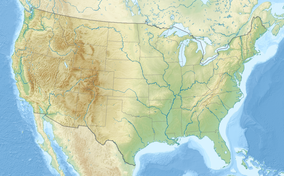 Wikimedia Commons has media related to Stanislaus National Forest.